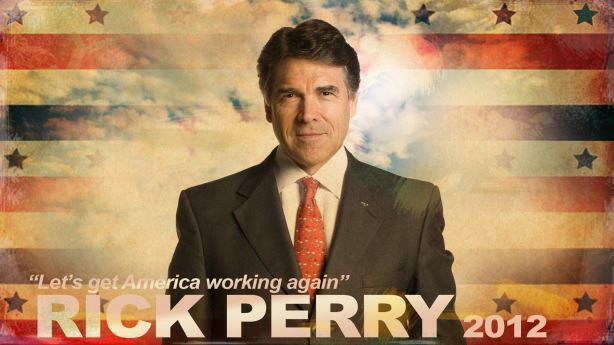 Rick Perry will get America working again. The conservative principles that have guided him as governor are the same principles that will guide him as president: Don’t spend all the money. Cut taxes and regulation. And get government out of the way so the private sector can create jobs and renew the American economy. Rick Perry has proven that conservative ideas really work. Under his leadership, Texas has gained more than one million jobs while the rest of the nation lost over two million jobs. His state represents 8% of America's population, but nearly 40% of America's job gains since June 2009. It's time for a leader who will allow us to believe again – to believe that America's best days are ahead, that we are not consigned to a fate of high unemployment and economic despair, and that our place in the world can once again be secure with a policy of peace through strength. That leader is Rick Perry. And the restoration of the American Dream begins today. Rick Perry will get government out of the way so we can get America working again. By cutting taxes, repealing regulations, balancing our budget and expanding domestic energy production America can create millions of new jobs. Perry not only espouses conservative economic ideas – he has put them to work in his home state, where nearly 40% of America’s net new jobs have been created since June 2009. Washington is broken. President Obama and other establishment politicians think it can be fixed with a pair of tweezers. Rick Perry knows it will require taking a wrecking ball to the three pillars of big government: overtaxing, overspending and overregulation. As a proud Air Force veteran, Rick Perry believes we must pursue peace through strength and provide the resources to maintain the finest military force in history. Perry will advance American interests abroad by standing firm with our allies, and ensuring American blood and American Treasure are spent only when American interests are threatened. Equally important, he will protect the American homeland by forcing Washington to fulfill its constitutional duty of securing our borders. Rick Perry believes government must stimulate job creation so more Americans are covered by employer-sponsored health plans. We must repeal Obamacare, and completely transform the healthcare safety net and entitlement programs that face long-term fiscal instability. Rick Perry is a conservative of conviction, not of convenience. On the bedrock issues of life, marriage and the Second Amendment, Perry’s conservative values are clear and consistent, and his record backs up his rhetoric. Rick Perry has always taken an unwavering stand in defense of life and he will continue to do so as president. If elected, Perry would support a ban on tax dollars for abortion and a human life amendment to the U.S. Constitution. He will only appoint judges with a demonstrated commitment to the Constitution and interpreting the law as written, as he has done consistently as governor. Perry strongly supports traditional marriage. He signed the state Defense of Marriage Act and supported a marriage amendment to the state constitution, and he would do the same as president. The first thing that comes to mind is tinted windows and big stickers advertising audio system.